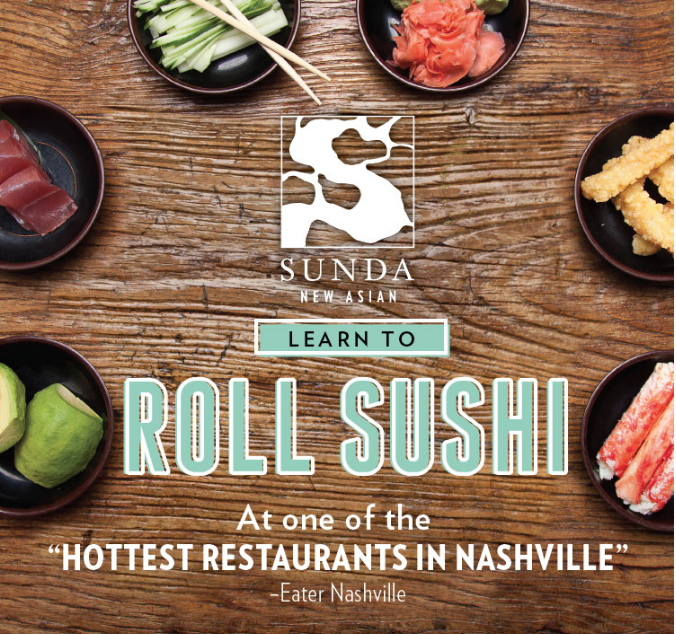 Learn the ancient art of sushi at our Sushi Rolling Class! Try your hand at maki making using seaweed wraps, sticky rice, spicy tuna and more at this fun, weeknight event! Our award-winning chef team provides personal instruction on the delicate creation of this traditional dish. 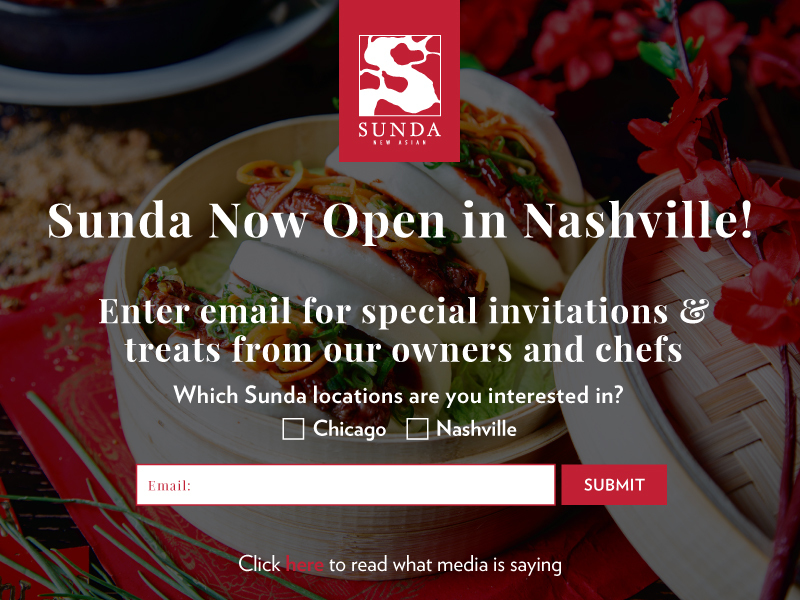 Sunda Announces Launch of Sunday Brunch on Nashville’s ‘Talk of the Town’!